Chakra is an ancient Sanskrit word meaning “Wheel of Light”. Chakras are energy vortexes that spin clockwise acting as processors and transformers helping to regulate vitality in our body and brain. They act as recording centers by locking in the memory of trauma, memories, unexpressed feelings, belief patterns etc. Chakras are portals within the subtle body, which take in and process energy from our higher vibrational nature so that it may be properly assimilated and used to transform the organs glands and systems of the body. As aspects of consciousness, Chakras hold our subconscious patterning as well as being the energetic link to the realm of pure consciousness and our spiritual essence. When they become blocked by the “issues we are holding in our tissues” disease and imbalances can occur. As they become clear and vital… we become clear and vital. 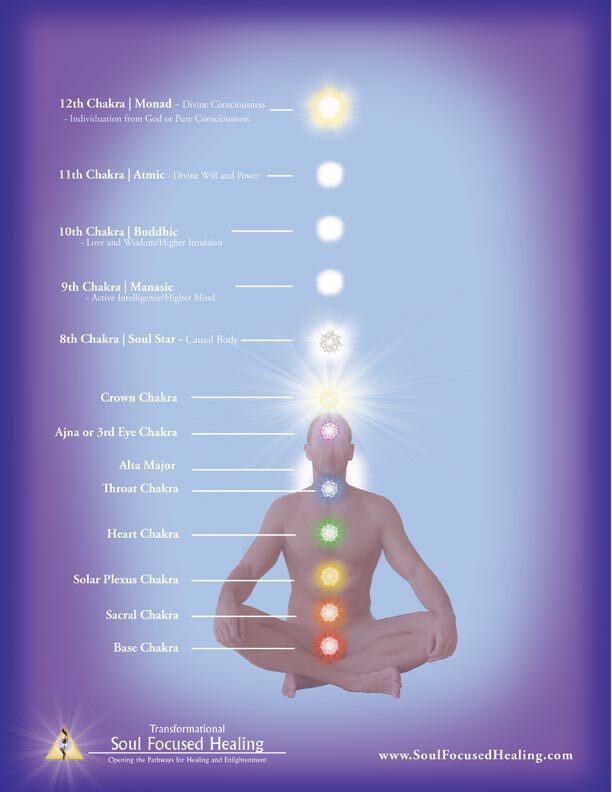 To learn about the 7 chakra’s, scroll over one of the chakras on the image below. Must have Flash installed to browser to view.